After a short and vague retrospection into the past - a few hundred years prior, actually - we can see Lara with her friend, the historian Jane in the Museum of Antique of New York, looking at an old sword on a warm and sunny afternoon. This object is the Sword of Paveaux - they found it in a shipwreck and rumours say it can revive the dead. Suddenly a gang of robbers appear and they take the sword with them. What could be their motive? Lara rushes after them and reaches the helicopter on the rooftop but she can't stop the cult leader escaping with the treasure. 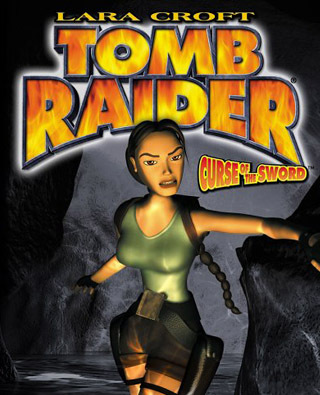 This person cuts her and puts a curse on Lara with the sword. Lara's quest is to save her own soul and to prevent the Dark Queen's cult from reviving their once commander, Paveaux and their final goal - summoning the Dark Queen herself. Enemies: different humanoid foes, rats, dogs, poisonous spiders, zombies in two different variations, then the cult leader as a boss, etc. Terrain and environment: everything is available introduced in the previous game, plus: usable cannon, ticket machines, charging stations, searchable lockers, safelocks and traintops can be blown up, mines under our feet, water puddles, kickable coke cans, falling stone fragments - and these are only the delicate details. There are secrets, too, just like in the previous episode but the software won't mark it with a tone and finding them are not included in any statistics. Vehicles: mine-detector machine which can be used underwater.